Congratulations. 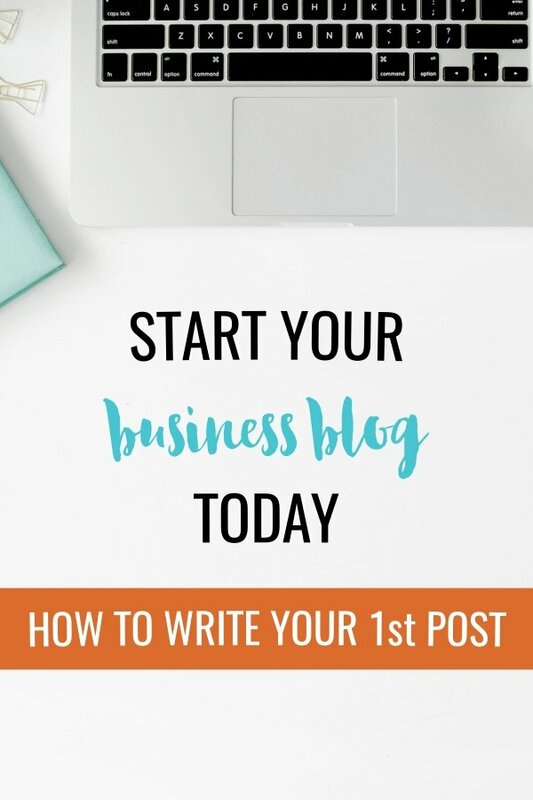 You’ve recognised the power of blogging and you’re ready to dive in and write your first business blog post. How are you feeling? A little nervous? Confused about what to write? Worried your audience will think it’s just a bit crap? Before we get started with the practical help, let me offer you some words of reassurance. #1 When you hit publish, almost no-one is going to read your first business blog post. Besides your nearest and dearest, the rest of the Internet doesn't know you exist. This is a good thing. You can practice your blogging skills in front of a small audience. As your blog improves, you’ll attract more visitors. But for now, there’s no need to have stage fright, because the only people who are watching are your friends and family. #2 You are not carving these words out in stone. If you don’t like it, you can change it. If in a year’s time you want to edit the blog, when your writing skills are much improved - go ahead, make those changes. This is an online document not a tattoo - it’s not forever. #3 My first blog post was crap (just like my first ever cup of tea, you can read about that here). Doing anything for the first time takes so much concentration, that there’s little room left for the creativity needed to give it flair. But you will get better, promise. I’ve worked with hundreds of small business owners to help them build their business blog, and the following is not an uncommon scenario. They want to start a business blog. But they think their first blog post should be something either deeply personal, or ground-breakingly insightful. This high level of expectation is terrifying, and they are unable to write that first blog post. Use this simple trick to find your perfect first #smallbusiness blog post idea. #1 Grab a piece of paper and write a list of three questions your clients or friends often ‘pick your brains’ about. #2 Pick which question you feel most comfortable answering. #3 Make this the subject of your post. It will be easy for you to write as you are so familiar with the question and answer. And the next time somebody asks you the question, you can refer them to your blog. And that's all blogging is. Writing down the stuff you know about, so you can more easily share it with your audience. Whatever platform your business blog is hosted on (Wix, WordPress, Weebly) - don’t try to write your first blog post directly into the post editor on your website. This will end in tears of frustration as you try to figure out a whole new platform while trying to communicate in writing. Instead, start with either a piece of paper or a simple word processing platform like Word or Google Docs. As quickly as you can, break the power of the blank page. Those vast expansive white spaces are terribly intimidating and need to be tamed. 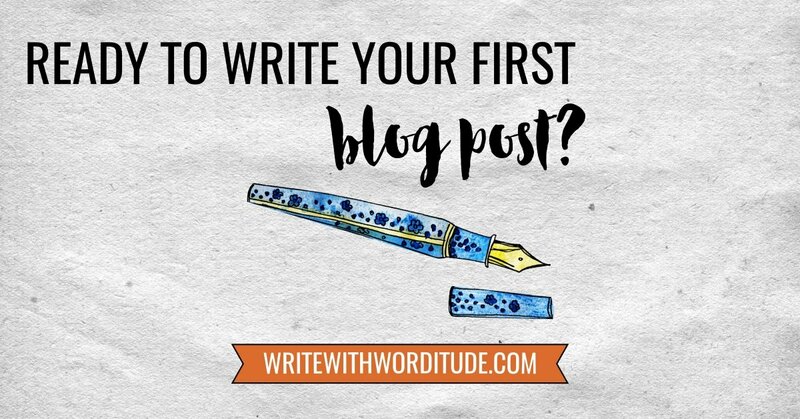 Write down a working title for your blog post (doesn’t have to be the title you end up with), and then sketch an outline for the structure of our post. This will typically be an introduction, each of the main points you wish to communicate, and a conclusion. You can see a blog post structure template here. Your brain isn’t designed to be creative and critical at the same time. Write freely, then when you’re sure you have what you want down on paper, then you can go back through and editing and re-ordering until you are happy with the post. Use three levels of proofreading to make sure your blog post is error-free. Check it wherever you have typed it out. Then print it and re-check it. By changing the context in which you are reading the material, you will sharpen your eyes a little (not literally) and make it easier to spot mistakes. Then check it again after you’ve hit publish. There’s usually one sneaky mistake that makes it that far. For more info read 5 Simple Steps To Flawless Copy. When you’ve nailed down that first business blog post - I want to see it. Come over to my Facebook page and share the link with me so I can get to know you and your business better. ♦ Need help with the words on your website? Write With Worditude courses will help you write web copy that converts visitors into clients. Download this free workbook to generate a year's supply of blog post ideas.